Typical Symptoms; Although this condition can be stable it can also cause general lower back combined with buttock pain. In rare advanced cases it can cause spinal cord or nerve root compression. Sometimes you may be lucky enough to not have any symptoms at all or none until years later. However, it can cause general pain lower back or buttock pain. 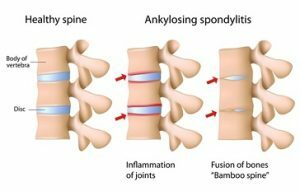 In more extreme cases however, it can cause the spinal cord or nerve roots to be compressed. This can cause back pain and numbness or weakness in one or both legs. In rare cases, it can also impinge or your bladder or bowels control. It is essential that you see a doctor right away if you begin losing bladder or bowel control. 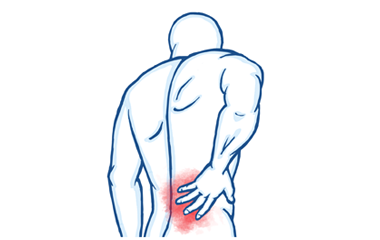 This is an inflammatory condition of the back that generally affects young adults. It typically begins with inflammation of the sacroiliac joints and generally causes pain and stiffness in both your buttocks and lower back. It follows a typical pattern and is usually worse in the morning but tends to improve with exercise. People usually feel very fatigued and there can be pain in other parts of the body such as the hips. The condition will lead to a slow progressive stiffening of the spine. 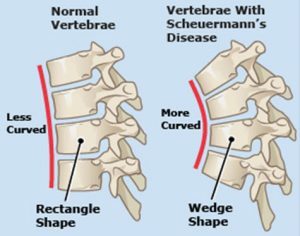 This condition (Scheuermann’s disease) occurs when the front of a vertebral body does not grow as fast and develop as quickly as the back of the vertebra. The vertebrae therefore become wedge-shaped, with the narrow part of the wedge at the front of the spine nearest your tummy. The wedge-shape of the vertebra creates an increase in the amount of normal curvature in the spine in the mid-back region. This is called a kyphosis and a small amount of curvature is normal but with this condition the curvature can become excessive. Osteoporosis is characterised by loss of bone density, as most of us already know. This is defined by the World Health Organisation as bone density more than 2.5 standard deviations (SD) below average. Values between 1-2.5 SD below average are termed osteopenic. Bone density decreases with age. In men this occurs slowly, reaching a fracture level risk in the seventies and eighties. However, for some ladies there can be an accelerated loss in bone density in following the ten years after menopause, leading to a significant risk of fracture. Risk factors include alcohol consumption, smoking, family history, lack of exercise, obviously both age and early menopause. Pain from osteoporosis often occurs because of small fractures in vertebra causing corresponding spinal pain. 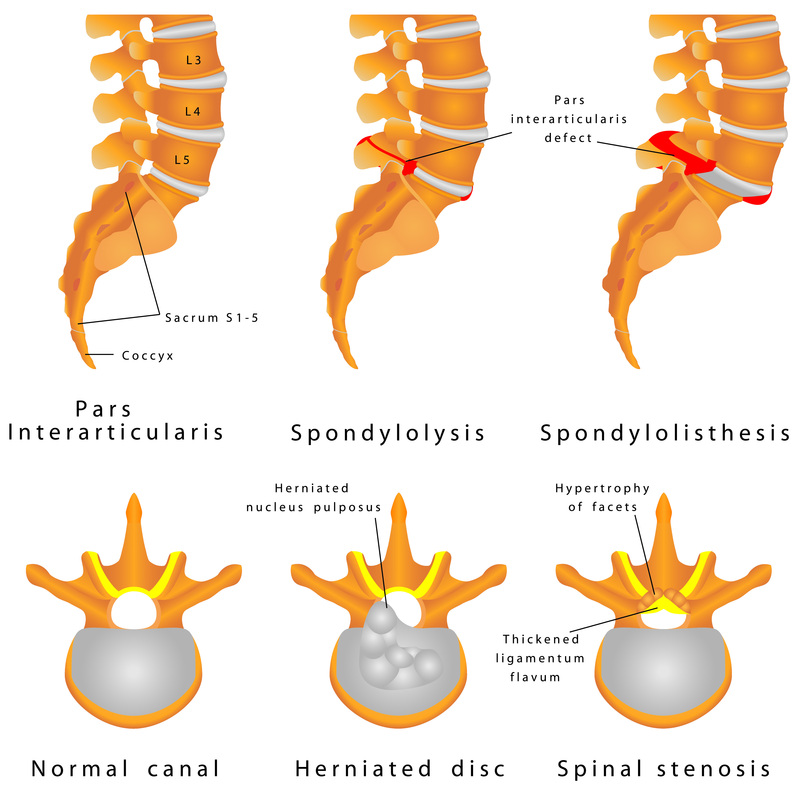 There are often initially very few obvious physical signs of osteoporosis. If it is thought that you may have osteoporosis however it may be suggested that you have a DEXA (dual energy x-ray absorptiometry) scan to measure the density of your bones and assess your risk of fractures. The scan is available at many hospitals and involves lying on a couch, fully clothed, for about 15 minutes while your bones are x-rayed. Normal – Your risk of a low-impact fracture is low. Osteopenia – Your bone is becoming weaker, but your risk of a low-impact fracture is still quite small. You may not need treatment, but you should discuss with your doctor how you can reduce your risk factors. Osteoporosis – You have a greater risk of low-impact fractures and it’s likely that you’ll need treatment.